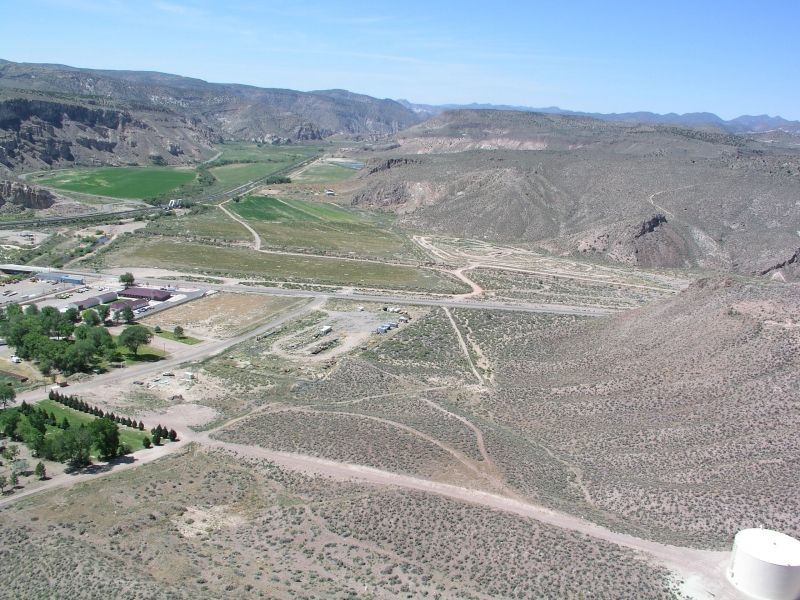 16.42 Commercial/Industrial parcel within the city limits of Caliente, NV. Great hotel/casino/truck-stop site. Fabulous views into Rainbow Canyon. City water, sanitation and power to the site. 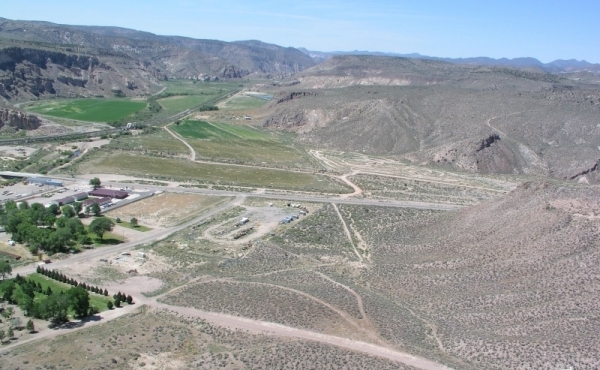 16.42 acre parcel - Fronts State Highway 93, east of the city's Meadow Valley Industrial Park, views south into Rainbow Canyon, city water, and city power to site. Within the city limits of Caliente. Views into Rainbow Canyon. Rainbow Canyon is named for its spectacular rainbow colored rock walls. Meadow Valley Wash, a year-round spring fed stream, waters thousands of trees along its banks as it flows through the canyon. Ancient man inhabited the canyon and artifacts recovered from caves carbon date their occupation to 5,000 years ago. 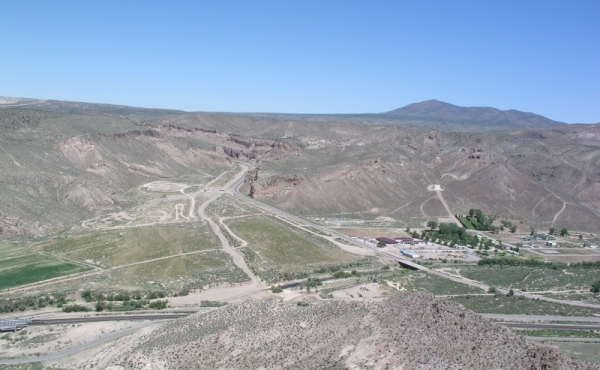 In the 1860's settlers established ranches in the canyon to supply the mining towns in the region. The history of the Conaway Ranch dates back to the 1860's when the Conaway Ranch was one of the first cattle ranches in the region. It was a favorite place of writer Zane Grey, who enjoyed staying at the ranch while he was writing about the wild west. Howard Hughes, Summa Corporation, owned the Conaway Ranch in the 1970's where he intended to develop a destination resort. In the 1980's a developer drilled water wells, built a community sanitation system, and built a 9-hole golf course on the ranch. The golf course is grown over with natural cover, but pressure pumps and some underground infrastructure remain. A domestic well and the community sanitation system served several homes and golf club facilities during the years that the golf course operated, and currently serves two existing homes on the former golf course. 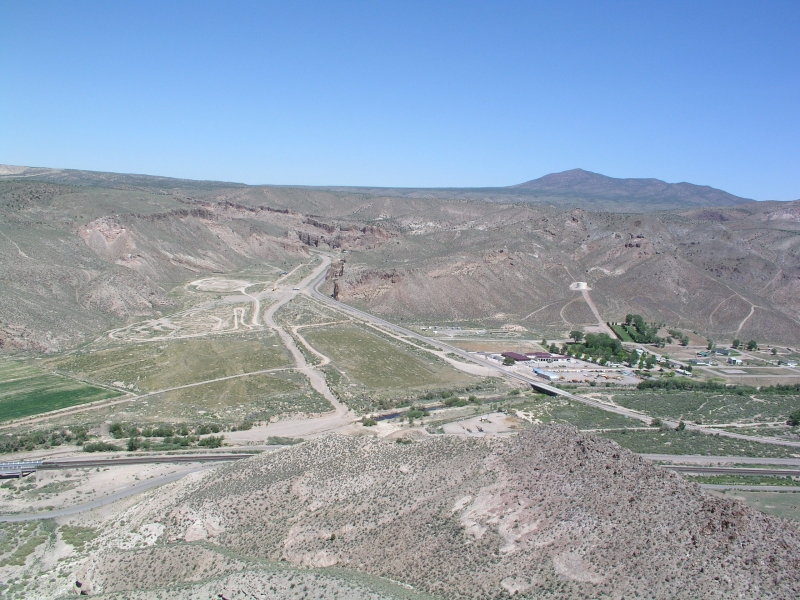 75.41 acre parcel – Hillside, north of Highway 93, views south into Rainbow Canyon, city water and city power to site, city sanitation close. City’s new 600,000 gallon water tank is located on this parcel. 72.47 acres in two parcels – Fronts Highway 317, east of Highway 317, north boundary is the entrance to Kershaw-Ryan State Park, parcel extends east along park entrance, gorgeous meadow with spectacular rock wall backdrop, includes 190.5 AFA of water rights. 244.33 acres in five parcels – Fronts Highway 317, east of Highway 317, former 9 hole golf course, year-round spring fed stream runs down through the middle of the former golf course, two 2 bedroom, 2 bath homes (currently leased month-to-month), community sanitation system still functioning, 4 reservoir lakes, underground golf course irrigation mainline still in serviceable condition, spectacular rock wall backdrop, includes 294.97 AFA of water rights. 25.857 acres – Fronts Highway 317, west of Highway 317, meadow, includes 64 AFA of water rights. 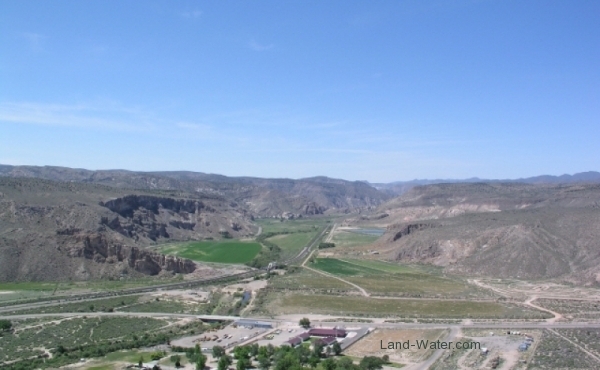 62.235 acres – Access from Highway 317, cross over Union Pacific railroad, west of the railroad, meadow, spectacular rock wall backdrop, very private, north portion will have easement for existing underground community leach field for golf course sanitation system. Meadow Valley Wash, a year-round spring fed stream flows through the ranch. 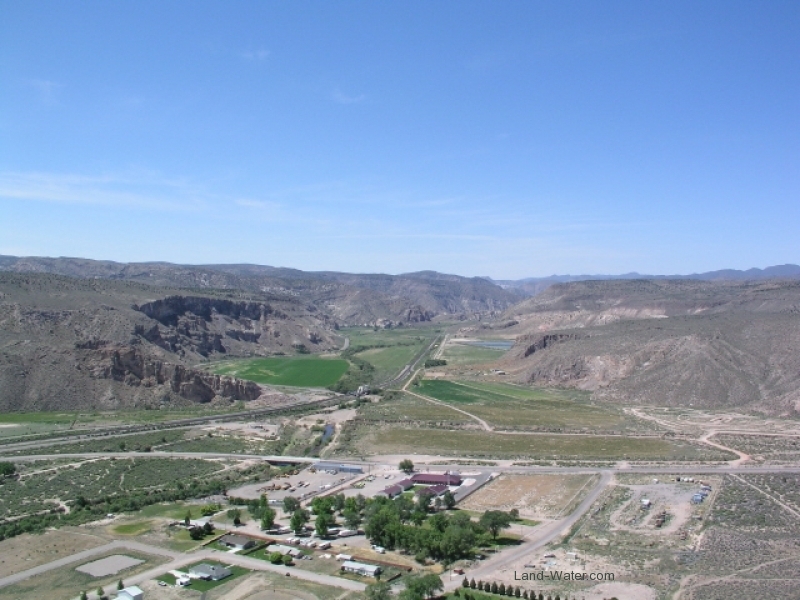 Multi-colored canyon walls rise above irrigated meadows surrounded by forested federal lands. This area enjoys a high desert climate with temperatures typically 10-15 degrees cooler than Las Vegas. The July average high is 91 degrees and the January average low is 36 degrees. The region’s average annual rainfall is 8.71 inches and the average annual snowfall is 12.1 inches. The average growing season is 140 days.